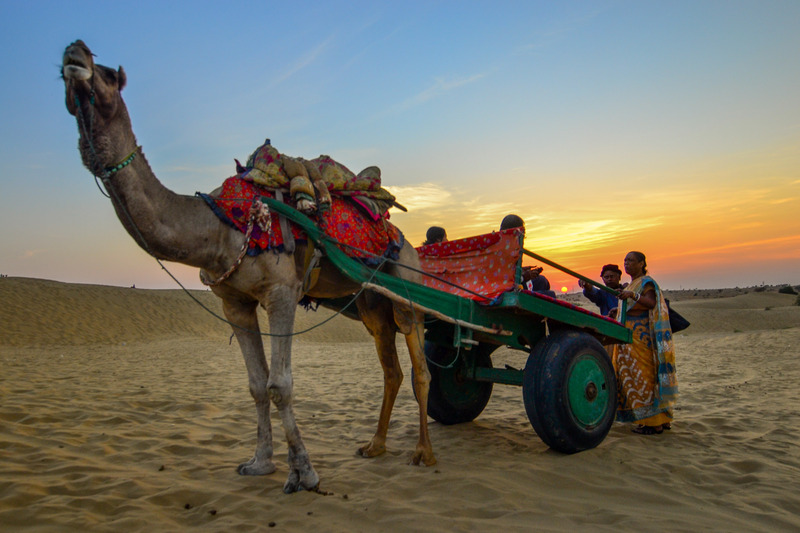 It was mid November afternoon when we decided to head out from our hotel in Jaisalmer to visit the Sam Sand Dunes on the outskirts of the city. As I started to look for different compositions by moving around in the sand – which can be quite difficult and tiring to do, I spotted this camel cart, which normally has tourists, empty and waiting in the middle of the ocean. The final shot I selected was shot at 1/60 sec, ISO 200 and f5.6 and I absolutely love how everything just falls into place for this composition to work.